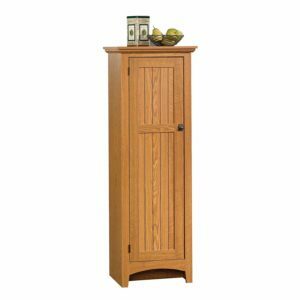 Sauder 401867 Summer Home Pantry L: 21.50″ x W: 14.49″ x H: 61.10″ Carolina Oak finish is now available at Amazon.com for just $105.70 (REG $207.99) (As of 13 February 2019, 17:08 PST – Details) with $102.29 (49%) Savings. 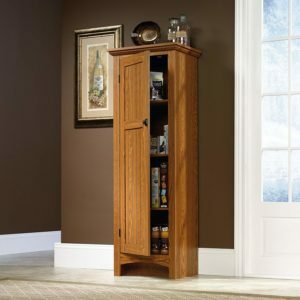 Bring style and storage to your home with this pantry from the Sauder Select collection. Behind the framed door with a beaded panel, it features three adjustable shelves so you can organize and store anything from boxes of pasta to bags of chips. Finished in Carolina Oak, this classy storage cabinet has everything you’re looking for and more.